We know that life is a mystery – and yet we want to understand why there is life, and so much life. 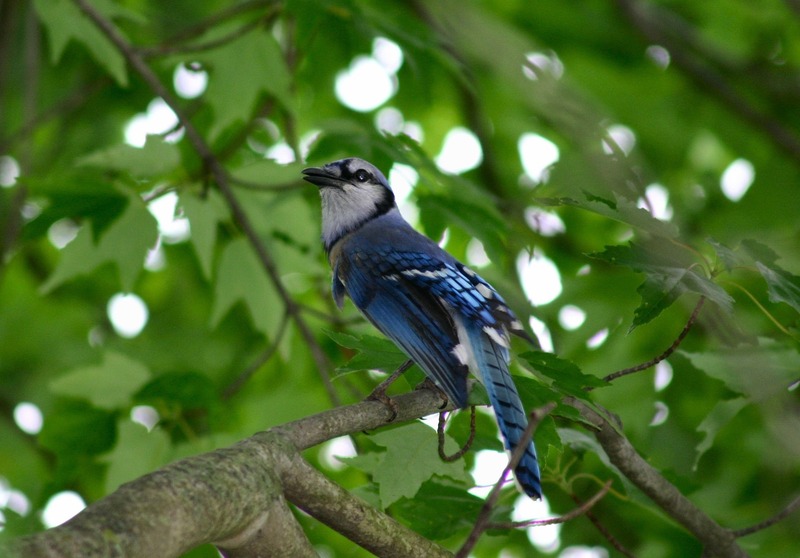 The other morning there was a loud noise coming from the back gutter of my house, so I opened a window upstairs and a bunch of Blue jays flew away – a beautiful sight to see! Everywhere we go the world is teeming with life – life, beautiful life! But it was not supposed to be so! From everything I’ve read, inanimate matter, which preceded organic life, is utterly incapable of generating biological life. Like everywhere else in the universe, there should be physics and chemistry, but the stunning world of biology on planet earth is quite a surprise! !, and in a very real sense it is something akin to the miraculous. “The evolution of modern cells is arguably the most challenging and important problem the field of Biology has ever faced” (Carl Richard Woese, famous American microbiologist). “…no life, no biology, only physics and chemistry….we only have evidence that it happened on one planet, after a lapse of half a billion to a billion years. So the sort of lucky event we are looking at could be so wildly improbable that the chances of its happening, somewhere in the universe, could be as low as one in a billion billion billion in any one year. If it did happen on only one planet, anywhere in the universe, that planet has to be our planet—because here we are talking about it” (Richard Dawkins, Climbing Mount Improbable). The Catholic Church claims to repeat on its altars each day this stunning transformation of inanimate or non-living matter into biological life through, anthropologically speaking, the incantation of a priestly blessing over bread and wine. The whole thing seems wildly improbable, and yet in the well documented literature of Eucharistic miracles there appears to be compelling evidence that it has happened on more than one occasion. Amazing, but then again biological life itself is wildly improbable (see Joan Carroll Cruz’ well researched book, Eucharistic Miracles, which documents many stunning miracles of such sort)! We come then to the person of Jesus Christ, who claims to be “the way, the truth, and the life” (John 14:6). In his teachings he accentuates over and over again the central point that the meaning of life is eternal life. “In the preaching of Jesus everything is directed immediately toward Eternal Life” (Father Garrigou-Lagrange). The Gospel of John, in fact, is often referred to as the “Gospel of Eternal Life.” Now we have this amazing phenomenon that a group of apostles witnessed the dead cellular structure of Jesus’ crucified body come back to life! Jesus, in fact, went out of his way to demonstrate to the apostles – and on more than one occasion – that his resurrected body was a real, human body, the very body he had before his death (“Look at my hands and my feet. It is I myself! Touch me and see; a ghost does not have flesh and bones, as you see I have” – Luke 24:39). Thus, the apostles were not left wondering whether they had seen Jesus in the flesh following his death and burial – Jesus went out of his way on multiple occasions to make sure that they had! And these apostles were men that went on to live heroic lives, to suffer and die for what they had witnessed, spawning the amazing rise of the Christian faith despite insurmountable obstacles, and without any resort to violence. The mystery of life most certainly involves the stunning interplay between inanimate, inert matter and living things. And perhaps in this light it should not be so stunning, after all, that God can bring dry bones back to life! (see Ezekiel 37).